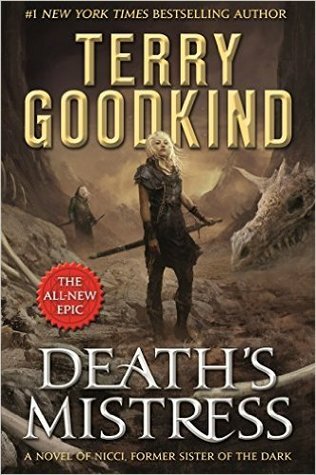 Death's Mistress: Sister of Darkness will launch The Nicci Chronicles, Terry Goodkind's entirely new series with a cast of characters centered on one of his best-loved characters in the now-concluded Sword of Truth. I've always had something of an awkward relationship with Terry Goodkind. I loved the first 3 Sword of Truth novels, and still count them among my favorite epic fantasy reads. I found the middle novels to be rather weak and repetitive, but I also felt he redeemed himself exceptionally well with the final duology . 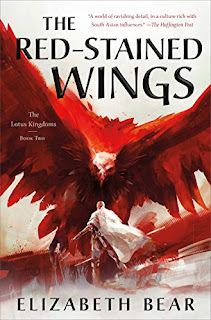 . . before getting tirelessly repetitive again with the opening instalment of the Richard and Kahlan series that followed. 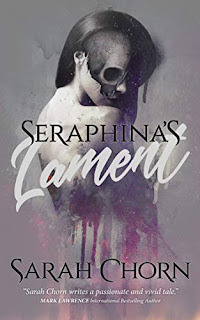 While I have yet to read The First Confessor, it's on my list for the same reason this is - I'm curious to see what Goodkind can do with the world, unencumbered by the legacy of Richard, Kahlan, and the Sword. 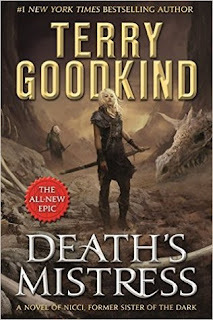 I haven't read a Terry Goodkind book in years, in fact I'd have to do some research to even figure out what I did read, but good to know Goodkind is still writing. I hope this one works for you! Yeah, I'm curious about this too. 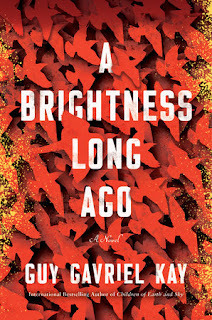 The Sword of Truth series and I were a disaster, but the last time I read his work was years ago and I figure I should give this a chance.